PaxeraUltima360 is a modular Enterprise Imaging Platform that can be incrementally licensed and adopted. Our flexible approach allows your organization to select a single scalable, multi-specialty enterprise-imaging vendor solution, while only investing in what you need, when you need it. 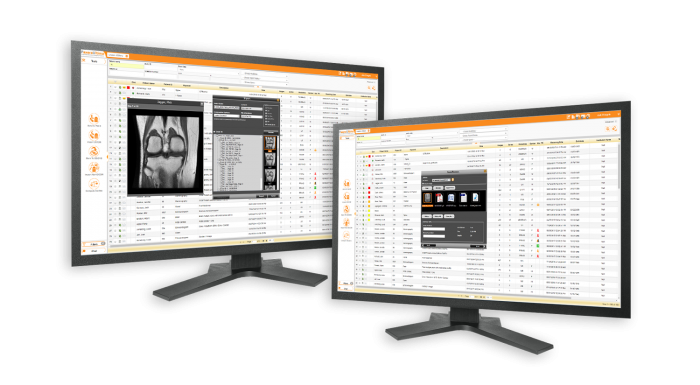 Whether you are focused on Radiology PACS, bedside ultrasound, or streamlining imaging for the whole enterprise, PaxeraUltima360 can be priced and configured to meet your needs right now, and grow over time to fulfill your organization’s evolving needs. PaxeraHealth’s modular approach simplifies implementation. Rather than one “big-bang” go live date, our incremental adoption approach minimizes stress on clinicians and IT staff, with no downtime required. Cloud and on-premise options PaxeraHealth solutions can be entirely cloud-based, of a hybrid or on-premise and cloud-based, depending on your needs. Our solutions are designed to support your facility’s growth, managed through one simple login and backed by our signature consultation and support. PaxeraHealth’s full-fledged diagnostic viewer is a user-customizable web-based viewer. 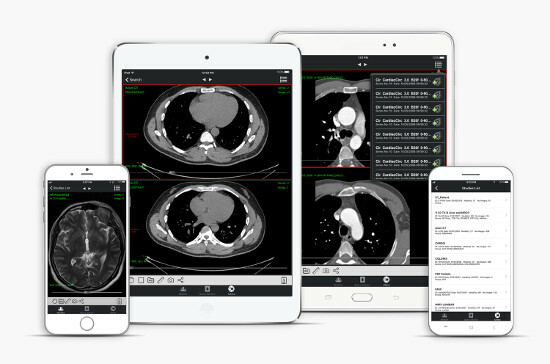 The viewer incorporates smart productivity tools and advanced modules to efficiently interpret radiology, cardiology, mammography, pathology, GI, and any non-DICOM image. 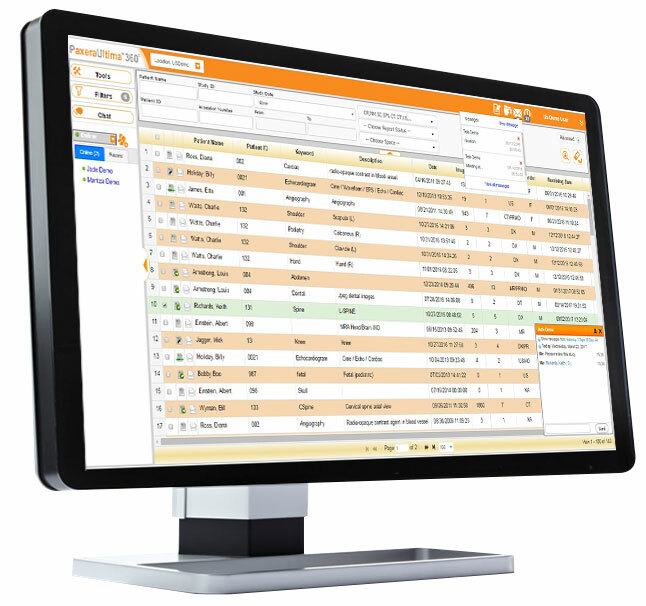 Consolidate your multi-department, multi-site worklists, access and manage from a single log-in. Build a customized experience for each user with controlled permissions and full audit log of all activity. PaxeraHealth’s intuitive zero footprint viewer is designed to easily embed within your organizations EHR / EMR. Break the boundaries between departments and enable a 360 view of patient records across the enterprise. The viewer comes with an ultra-fast streaming engine, comprehensive client-side image manipulation tools and works on all devices and browsers. The viewer takes full advantage of HTML 5, requires no downloads, and leaves no trace behind. Efficient communication is built on team collaboration, that’s why collaboration workflow tools are embedded into all Paxera viewers to allow clinicians to make quick and efficient decisions on studies. 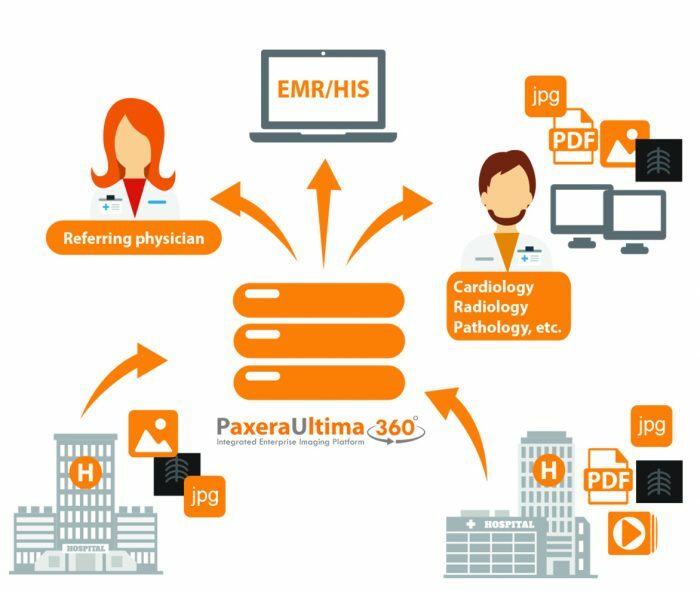 PaxeraUltima 360 enables multi-PACS, multi-facility interpretation worklists with built-in workflow tools, including: Peer Review, Critical Results, ED discrepancy, and standard-based image exchange. 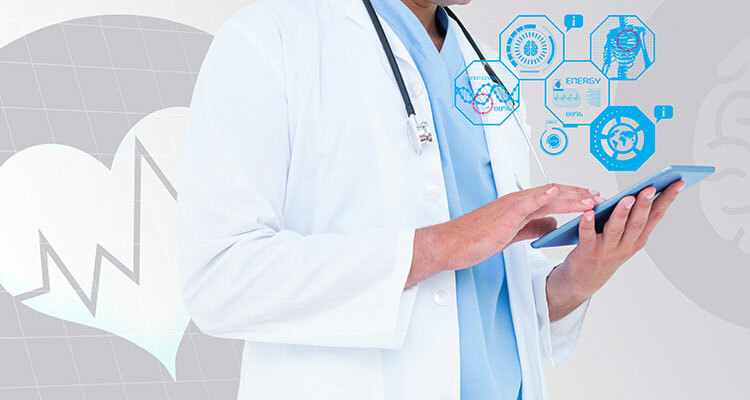 With our resourceful tools – technologists, radiologists, physicians, practice managers, and other staff members can all communicate seamlessly, assign studies, send messages, and collaborate in real-time on a study – regardless of physical location. 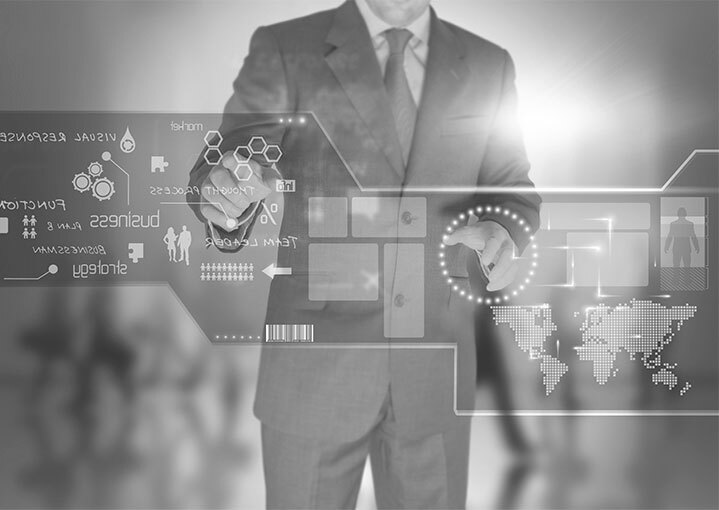 Extend the value of your data across your entire facility and utilize the benefit of big data to analyze trends, identify areas for improvement, easily track and manage performance, streamline workflow, receive real-time notifications, and ensure that your facility is operating at full capacity. A comprehensive reporting workflow that can connect directly to your EMR provides maximum productivity and flexibility and allows reports to be automatically embedded and accessible from the PACS. Paxera advanced reporting tool integrates with speech recognition Nuance PowerScribe and Dragon Naturally Speaking, allowing fast and accurate reporting. With the enhanced Paxera reporting, you can now view, control, and track reporting progress. Customized Paxera cardiology reporting incorporates structural reporting for Cath, Echo, and EPS studies designed to reduce error-prone and time-consuming manual data entry. For mammography, the solution includes structural reporting tools for both screening and diagnosis. SMART on FHIR. 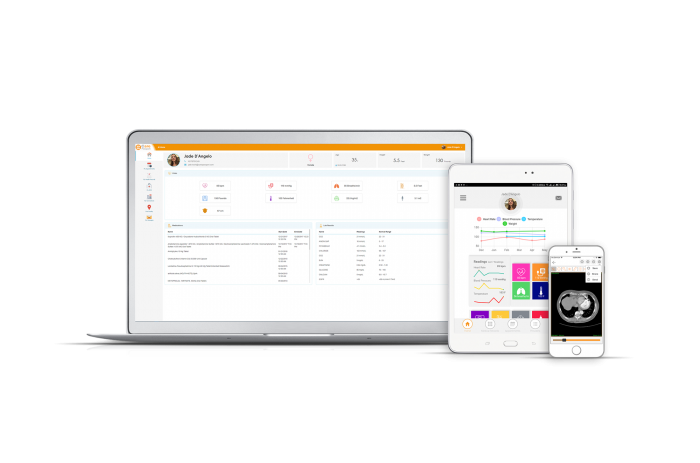 (SMART Health IT is an open, standards-based technology platform that enables innovators to create apps that seamlessly and securely run across the healthcare system). Deliver value-based care with our patient-centric model. Our patient portal yields better health outcomes at lower costs. Keep patients engaged with an effective messaging tool and patient-side access to medical records. 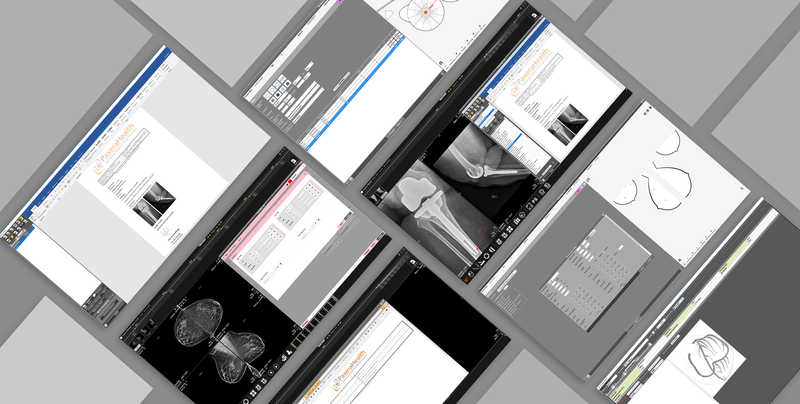 Save time and resources by enabling your patients to upload their own radiology images and medical data.